dadasaheb phalke | Pleasant's Personal Blog! 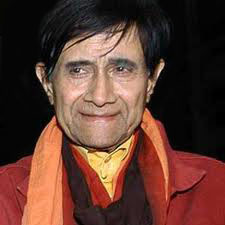 Entitled Bollywood’s Peter Pan, Dev Anand was the quintessential yet the most inimitable actors of the Indian film industry. Revered and fondly known as Dev Sahab the nation over, the endearing actor passed away at the age of 88 on 3rd December, 2011 at the Washington Mayfair Hotel in London following a cardiac arrest. Born on 26th September, 1923 in the Gurdaspur district of pre-partition Punjab, he was the third of four brothers and had a younger sister. 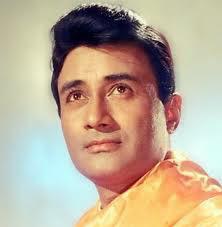 He began his illustrious acting career, spanning almost 6 decades, in 1946 with Prabhat Films’ Hum Ek Hain. It’s on the sets of this film, that he began his life long friendship with Guru Dutt. In 1949 he opened his own production company, Navketan Films, which would go on to produce and contribute many gems to the Indian film industry, such as Baazi, which was its inaugural film, to ground-breaking films such as Kaala Paani (1958), Hum Dono (1960), Tere Ghar Ke Samne (1963) and Guide (1964). His films were regularly nominated for Filmfare Awards and he himself won the Best Actor award twice for Kaala Paani and Guide. In addition he was also honoured with the Dadasaheb Phalke award, which is India’s highest award for cinematic excellence in 2002 and had been awarded the Padma Bhushan in 2001. 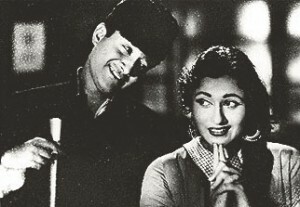 His most famous liaison was with singer-actress Suraiya who he met in 1948 when he was paired opposite her in the film Vidya. However, they were unable to consummate their relationship due to religious differences and Suraiya’s family being orthodox and conservative. He eventually married Kalpana Kartik (aka Mona Singh) who made her debut in Navketan’s first venture Baazi. However, it was during the shooting of Taxi Driver in 1954, that the couple fell in love and then subsequently married in a quiet ceremony. They bore a son, Suneil Anand in 1956 and then a daughter, Devina. He is perhaps the sole actor credited with launching and establishing the careers of most of his leading ladies from Kalpana Kartik to Zeenat Aman. In addition, actresses like Waheeda Rehman and Hema Malini owe it to him for pushing their careers to the stratospheric levels that they eventually achieved. In the 1970s his directorial ambitions took flight even though his first directorial venture Prem Pujari was a flop. However, Hare Rama Hare Krishna in 1971 turned out to be one of the biggest hits of the Indian film industry and made an overnight sensation out of Zeenat Aman. He later also launched Tina Munim’s career in the 1978 film Des Pardes. He directed a total of 19 films with his last film Chargesheet having been released as recently as September of this year, out of which 7 were commercially successful. Despite being credited with launching the careers of many a star, Dev Anand and his work has been widely lauded by critics with most of them describing his directorial ventures as well ahead of their time. His movies were also revered for their melodious, titillating music. In September, 2007 he also released his autobiography “Romancing with Life”. Dev Sahab did it like no one else. His swagger, mannerisms, awkward dance moves, hairstyle, had the whole nation enthralled. From the innocent, charismatic architect in Tere Ghar Ke Samne to the tortured Raju in Guide, he had us all experience the spectrum of emotions he went through. There has never been another one like him and never will be. He is an irreplaceable legend, someone to look upto with utter and absolute reverence. The world will miss Dev Sahab and will always love him!